Are Wordless Wednesdays pictures that you have taken, or something you have found online that you really like? Either way, that balloon is really cool. I’ve never had the guts to go up in one, but I hear it’s quite an experience. Glad to “hear” things are going well with you and the family! 🙂 Miss ya! That was across the street from the house at the airport. Miss you too! I haven’t seen or talked to you in forever! Great picture! 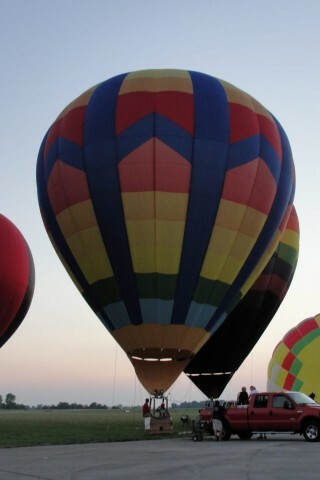 I’ve always wanted to go on a hot air balloon ride! I’m a new follower via GFC – and hope you can return the favor and follow me back. I hope you will stop by and join me for a good deed or just to visit!